Due for release August February 2017 in paperback, ‘Slaughter at Giant’s Coffin’ to see a hardback release early in 2017. ‘Slaughter at Giant’s Coffin’ : Mere days after the loss of their home world Sotha, the Scythes of the Emperor stagger to the Chapter outpost at Miral Prime to lick their wounds and formulate a campaign of vengeance against the tyranids of Hive Fleet Kraken. Devastated and leaderless, these Space Marines now look to their only surviving officer, the reluctant Captain Thracian, for guidance. But the psychic shadow of the xenos is growing in the warp once more, and the bastion atop the Giant’s Coffin mesa may yet become the site of a most ignoble last stand. ‘Scythes of the Emperor’ : A doomed Space Marine Chapter confronts the alien tyranids in a devastating battle for survival. It lands the year this site turns 20. 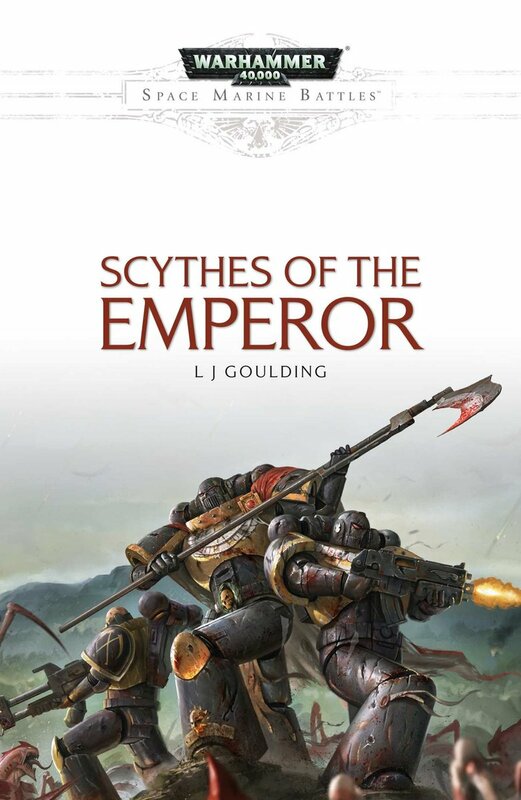 I couldnt thinking of a better birthday event then seeing my favourite Chapter get a full Black Library release. Utterly brilliant. Sincerely hope Reclamation is included as I am yet to find a copy containing it’s original publishing. Naturally I’m going to have to kick my campaign into overdrive as my Scythes, having escaped on the Tenax, now thought lost with all hands – sneak into Miral space and discover the epilogue of Miral and Giant’s Coffin and further adventures.